Looking to own a piece of paradise…here it is! This bright and open 2-bed, 2-bath condo has access to the Manasota Beach on the Gulf Of Mexico. This waterfront condo has so much to offer with the bright open living space, making it so comfortable to relax or entertain! HUGE INCOME potential WITH WEEKLY RENTALS, renting for as much as $6,250.00/mnth in season and over $3,000.00 out of season. This unit has an expanded kitchen with breakfast bar open to the dining area and living room with high ceilings and balconies for great outdoor dining or just relaxing! Both large bedrooms have their own balcony and master balcony even has a large heated hot tub for you to relax in privately. Additional upgrades include a new AC and new pump for the hot tub! Enjoy easy living here at one of the most sought-after communities in Manasota Key. True Boardwalk Condo Living with just steps from the private powdery sandy beach! Whether you are looking to use it as a private vacation home, rental income or permanent home, this turn-key investment is just waiting for you! The community offers a internet access, heated pool, outdoor shower area, assigned covered parking, a barbecue area, and private beach! Close to local island restaurants, shopping, golf and miles of sandy beaches! 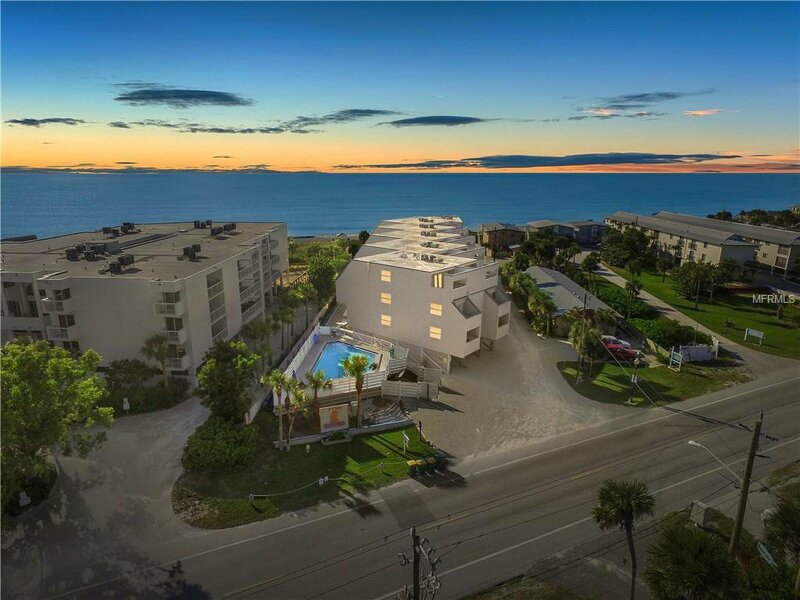 There are only 17 units in this complex and real Florida Beach Living Vacationing lifestyle make this a fantastic income investment opportunity. You won’t want to miss this opportunity! Listing courtesy of KELLER WILLIAMS ON THE WATER. Selling Office: COLDWELL BANKER SUNSTAR REALTY.